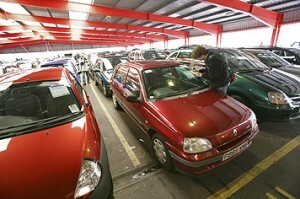 Cars, vans and vehicles available at auction for UP TO 50% BELOW book value. Keep your bargain or sell on for a quick, juicy profit! Car Auctions … The place everyone goes for a great deal. GAUK Motors is used by car traders and the public alike and features literally hundreds of car auctioneers, cataloguing thousands upon thousands of cars at auction every week. Put simply, GAUK Motors list more cars coming up at auction that any other website … by far! These vehicles are not available on eBay, at Autotrader, or together on any other website for that matter! 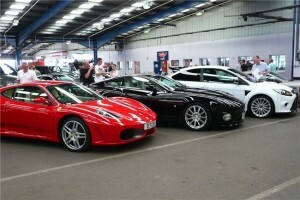 Car auctions are now a MULTI-BILLION pound business. Did you know that there are hundreds of well-organised, reputable car auction houses selling absolutely any kind of vehicle you could desire, all over Britain right now? … And you’ve probably never heard of most of them! At GAUK Motors you’ll get comprehensive coverage of ALL vehicle auctioneers selling cars, vans and commercials and if you do your homework (GAUK tells you how and what to look for) and if you take your time you’ll buy the vehicles of your choice at ‘breathtakingly low’ prices. Cars are auctioned off at specialty car auctions all over the country from classic cars to ex police vehicles, from giant earth movers to white vans, from ex-utility vehicles to motorbikes. Mostly there is absolutely nothing wrong with the vehicles and if there is the auctioneer is obligated to tell you any faults The motors have generally just come to the end of their contract with the hire or lease company or agency or often the directors of a company just have a policy of changing cars every two years. Sometimes the company fleet is regularly updated with the used one being auctioned off to make way for a new set of vehicles. All these cars have been regularly serviced and maintained, regardless of cost and even at ‘book’ value (retail price) they represent great value for money … but at 10%, 20% or even 50% off, the deals to be found at auction are exceptional. We could create a glitzy sales page that promises huge discounts, bargains and slashed prices on any motor. After all, we host probably the largest selection of ‘below retail price’ vehicles in the country. However, at GAUK Motors we ARE HERE TO HELP and want you to get the most from the service and be under no illusions when you register. You won’t just stroll along to the nearest car auction, place a couple of bids and get a one year old motor at 50% of it’s value. It does depend on the auction, the day and how many people are bidding for a particular car … But this matters not as you have an advantage! With GAUK Motors you have a much greater chance of tracking down a ‘steal’. You have the facility to browse EVERY legitimate, respectable car auctioneer in the UK, see where and when their events are being held and browse a huge selection of vehicles coming up for sale online. Think of GAUK Motors as the country’s largest car auction catalogue … and we’re is rapidly working to 100% coverage of cars, vans, commercials, plant & motorbikes … that’s every vehicle, at every auction, in every county of the UK. Do your research, decide on what vehicle you want, DECIDE ON A PRICE YOU WANT TO PAY BASED ON THE CURRENT MARKET … then armed with a figure and a vehicle model, use GAUK to trace a selection of car auctions that you can attend and that sell your choice, and off you go. You can even bid online at a number of car auctioneers but GAUK Motors highly recommend that you go along personally to the auction … after all, you wouldn’t buy a car from a trader over the phone would you? If you know where to go and what to look for, you can pick up some unbelievable bargains at these car auctions. Like the person who got a Jaguar XJS Le Mans for a mere £4500! Cars, Vans and Commercials All Bought With a Stunning ‘Auction Discount’. And YOU are about to find out where and how to buy them! All across the length and breadth of the UK are hundreds of unpublicised car, van and commercial vehicle auctions selling a vast range of motors and transport sometimes with NO RESERVE, and anyone can attend … even YOU! These expansive car auction rooms are rammed with motors that often seem so cheap you would think that there must be a catch. But let us assure you … There is no catch! The prices you will be paying just everyday car auction prices; prices some traders want to keep secret and we don’t blame them. Car dealerships are a great place to purchase a car and traditionally the first place buyers go. But now you have a choice. The trade buy the right cars at auction and because most are now regularly serviced and in top condition only need a valet. But then a dealership has to add on a percentage to cover their overheads and VAT (if registered). On top of this the poor guy (or gal) has to make a living so there’ll be a premium to cover that. A general rule of thumb is that a dealer has to add approximately 20% to a vehicle bought at auction. BUT … if they get a great deal at auction it’s rarely passed onto the consumer. The dealership is not a charity, they are in business and will try to extend their profits as best they can. You now have the choice to buy from source and put any savings towards the ‘Beer Fund’. It’s simple if you know how. And through the GAUK Motors car auction database, the auctions are a doddle to track down – times, dates, catalogues, all in a simple, searchable database. Once you start using GAUK and buy your first cheap motor, you’ll why you ever paid retail! And you’ll go on to use GAUK to track down all sorts of bargains in all sorts of categories! And if you’re not a car dealer and simply want a cheap runaround, or a bargain Porsche, we give you absolutely all the information you need in our ‘Buying at Car Auctions Guides’. Yes! GAUK Motors has the most comprehensive lists of cars, vans, commercial vehicles and auction information available anywhere in Britain … GUARANTEED! Valuable car auction Information that you can use immediately; information that will enable YOU to join in and Bag Those Car Auction Bargains! Remember! GAUK Motors list probably every car, van and commercial vehicle auction house in the country and we specialise in NO RESERVE sales too! And second, stock sold at these venues is entered for a quick sale.The person, company or organisation that entered the vehicle will require it gone, and the motors go to the highest bidder on the day, often regardless of what it is! So if there’s only you and five others there you’ll be leaving with a great bargain and a huge smile! These car sales are going on around Britain now, as you are reading! Here at the GAUK Motors website is your opportunity to discover where and when these sales happen. Through the newsletter and online service you will even discover how to view the cars before you part with a penny. Find out how you can attend and join in! Where and how to sell the cars once you have made a successful bid. You will find masses of car auction information you can use today. Including the most comprehensive used car buyers guide ever written: Never Ever Get Shafted When Buying a Used Vehicle! You will find real-time names and addresses for auctions, tenders and agents. Using our unique search facilities you can track down car sales from those happening in your local area to every auction going on across Britain. Find the vehicles you’re looking for with the online service, simply type it in and “Hey Presto” … A list of sales selling cars in your area of interest! If you need to find out about car sales in a district or compare car and van auction prices across the country, simply use the menu for your town or county of interest and “Bingo”… A list of all the sales happening in your town! Register now and search the car and van auction database … happy hunting! If you can’t find the car, van or commercial vehicle you’re looking for at GAUK Motors, it’s not being sold at auction in Britain … Guaranteed!! !